Return to Ravnica Game Day! Join us for the Return to Ravnica Game Day! Who: Everyone with a legal Constructed – Standard deck*. What: We will run a Swiss-paired tournament. Entry is just $10! Registration starts at 12 Noon & game play starts at 1PM. 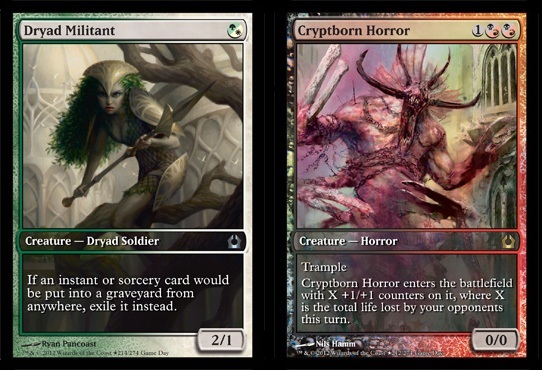 Cryptborn Horror Prize Card – Top 8 players! Boosters – Dependent on number of players! Ravnica Game Day Champion Playmat – First Place! * Decks must be a minimum of 60 cards. The following sets are Standard legal: Innistrad, Dark Ascension, Avacyn Restored, M13, and Return to Ravnica.